Deep dish lovers in the East Bay don't have to wait in line for Zachary's anymore. There are options. Last month beloved San Francisco deep dish pizzeria Little Star opened its first East Bay colony in Albany. And now another San Francisco deep dish establishment is crossing the Bay Bride East. The CoCo Times reports that Patxi's Chicago Pizza will open an outpost in Lafayette in the Clocktower Building in January. 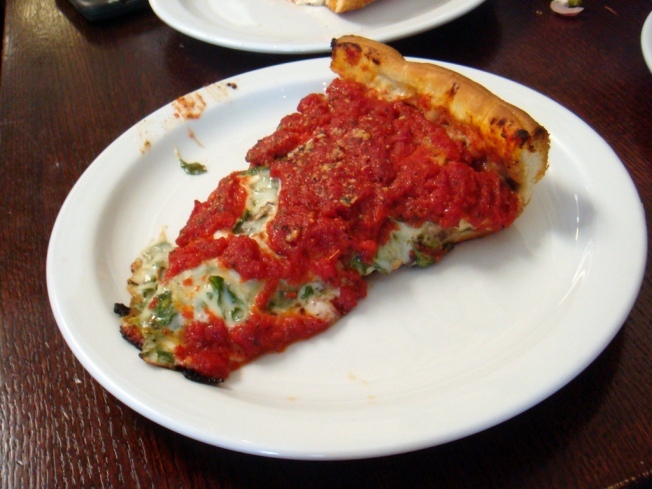 Patxi's currently has locations in San Francisco and Palo Alto. The restaurant is of course famous for its deep dish Chicago-style and thin crusts pizzas. The popular combination will stay much the same as far as we can tell. You can keep up to date on the progress of the newest Patxi's on the restaurant's website.